Click on the image or title to go straight to the online rental booking page for Electronic Whiteboards. If you are looking for mobile whiteboards and flipchart stands, go to our Mobile whiteboards and flipchart stands page. Electronic White Boards provide hard copy of the HARD points made during a meeting. Allows delegates to take a copy of the actual presentation rather than using hastily copied notes or their memory. A Panasonic Electronic White board offers modern styling with a hard working surface that will enhance any workspace from meeting rooms to lunchrooms. Fitted with our exclusive "Drop Down" Trolleys, The PANASONIC Electronic White board helps to really get the written word into the minds (& hands) of the delegates you are addressing. Panasonic electronic whiteboards offer colour, interactive and standard models to meet virtually every need. We offer delivery & set up of our Electronic Whiteboards & have a Starter Kit available should you not have the correct pens & markers available at the venue. 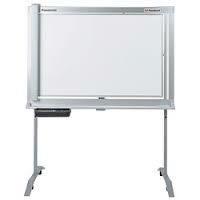 Note: Panasonic Electronic Whiteboard rental prices are Subject to Change without Notice. To make an inquiry regarding our hire Electronic White Boards or electronic whiteboard hire, please feel free to contact us either by telephone (on 0418 574 767 or in Victoria on (03) 8420 7788), email or by using our Inquiry/Booking Form. We will endeavour to respond to your email or Inquiry Form submission within 24 business hours. As our available products change regularly, it is not possible for us to list every Panasonic Electronic Whiteboard hire product we have for rent or hire on this site. If you cannot find the Electronic White board you are looking to rent / hire here, please feel free to call us (on 0418 574 767 or in Victoria on (03) 8420 7788), email us or use our Inquiry/Booking Form to make a hire or rental inquiry. We will endeavour to respond to your inquiry within 24 business hours. 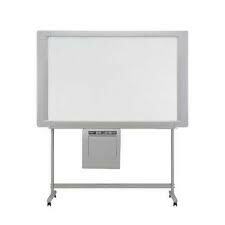 We also sell Electronic Whiteboards. Please feel free to call us (on 0418 574 767 or in Victoria on (03) 8420 7788), email us or use our Inquiry Form to make a purchase inquiry. We will endeavour to respond to your inquiry within 24 business hours.